During the Georgia Gaming Congress in Tbilisi, the multinational igaming software provider BtoBet has met online and land-based Sports betting and Casino operators wishing to operate an advanced, modern and technological platform to develop their business, and speed up revenues and operations in the evolving Eastern European regulatory framework. In the new regulated markets expanding in Eastern Europe, such as the Czech Republic, Slovakia, Poland and Romania, amongst others, operators need the innovative and clever omnichannel platform with multi-currency and multi-jurisdiction characteristics, to administer their business seamlessly, land-based, online and mobile. In a farsighted perspective, operators of these countries have to be quick and grasp the opportunity offered by the next-generation technology to run the evolution of physical bet-shops into intelligent shops via a single channel, integrating web and physical stores by giving the opportunity to better understand players. 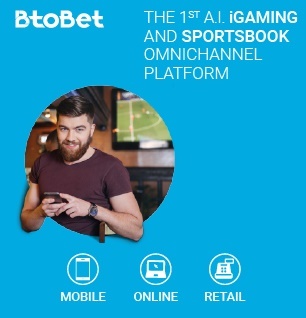 After Georgia Gaming Congress, BtoBet will showcase its AI igaming and sportsbook omnichannel platform at Enada Primavera and VIGE, in Rimini (15-17th March) and Vienna (20-22 March) respectively.